Approximately 125 residents of Milford, Wixom and other nearby communities gathered at the Milford Civic Center on October 4th to learn more about PFAS contamination in the Huron River. A panel of experts from MDEQ, MDHHS, the City of Wixom, the Village of Milford, and HRWC answered questions from the audience. You can view the slides presented at the meeting here. Or take a look at the video tape of the meeting (below). 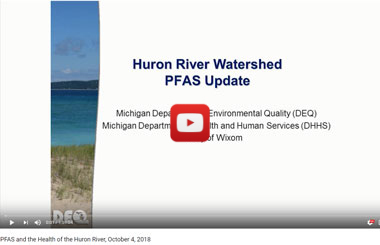 View the video recording of PFAS and the Health of the Huron River, a community meeting, 10-04-18. Residents near PFAS-contaminated sites are understandably concerned, as are all of us at HRWC. At the beginning of the meeting in Milford, a collective anxiety permeated the room. The State and the City of Wixom provided thorough updates and answered questions. All questions and discussions were respectful, civil, and focused. This is not happy news, but by the end of the meeting, the anxiety that was there at the start had evaporated into a shared frustration over a complicated problem we are all still trying to understand and a willingness to find solutions together. That’s something. Many attendees wanted to know what’s being done to clean up the contamination, and what they could do to help. The expert panel explained what’s being done to reduce the discharge of PFAS to the river, what’s being done to understand the scope of the problem and identify new sources, and what to expect in the near future. So far, no drinking water sources in the watershed or the Milford area, even those near the highly contaminated Norton Creek, have tested above EPA health advisory levels. There were concerns about what owners of private wells should do. We’ve provided information on that question on our PFAS page, and individuals should contact their county health departments with concerns. Beyond that, this is clearly a topic that needs greater attention and support across the state. Another common concern was the impact of PFAS on wildlife. Much is still unknown. PFAS chemicals accumulate in plants or animal tissue over time. They affect species very differently.  It depends on the organism’s type of exposure, their lifetime, and how their tissue interacts with PFAS. Lab testing has shown it’s harmful to small mammals. We know it builds up in fish to hazardous levels for human consumption, but how PFAS chemicals actually affect the health of fish species is less clear. PFAS contamination will take a very long time to resolve. These chemicals have been used extensively for decades for many different purposes. We currently know little about how they persist and move through an ecosystem like the Huron River watershed, but we know they were made to last forever and withstand the harshest conditions. Cleaning them up will require help from engaged citizens, private businesses, and continued diligence from local and state agencies. We all need to put public pressure on our legislators and federal agencies to establish stronger PFAS regulations that put the health of the environment first. You can learn more by visiting our PFAS webpage here.